Keep a cool drink close at hand while behind the wheel. 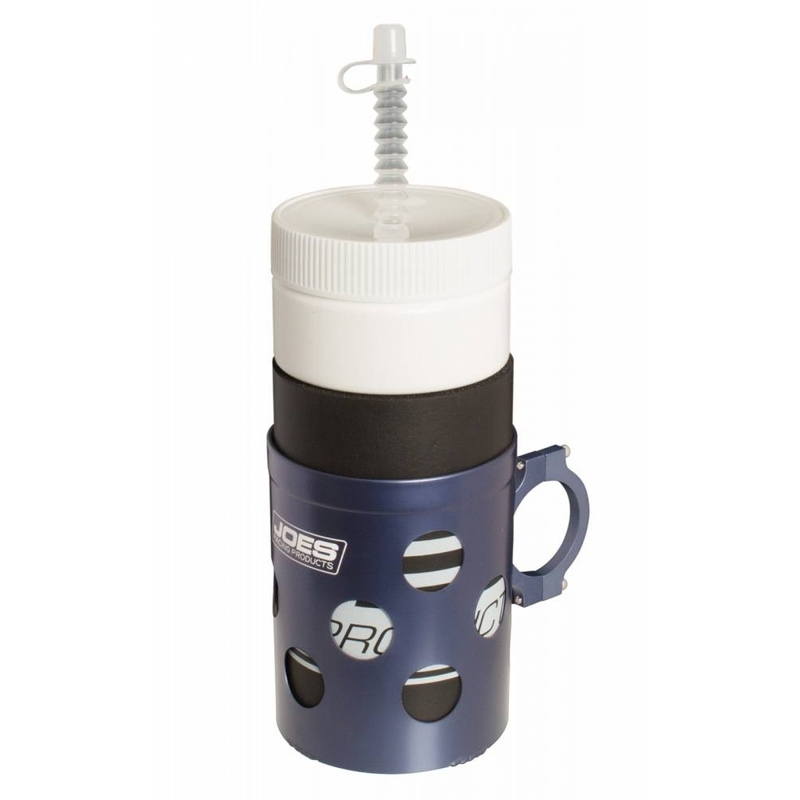 JOES Drink Holder mounts quickly anywhere on either 1-1/2″ or 1-3/4″ diameter roll cage. Welded to the back of the aluminum housing is a JOES Clamp. Just tighten two stainless steel cap screws to mount a JOES Drink Holder in seconds. JOES Drink Holder is 8 1/2″ high (not including straw). One bottle included. Anodized Gray. Also available in a Panel Mount design. We ship same day if you place your order before 3:30PM PST on Monday through Friday (subject to part availability). If placed after 3:30PM it will be shipped the next business day. The map to the left shows shipping estimates for UPS Ground Shipping. Typically these shipping estimates are accurate but JOES does not guarantee these estimates, and if the estimate is not accurate it is up to the buyer to take the issue up with UPS.